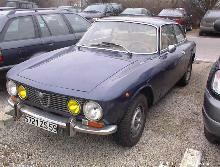 In 1972 Alfa Romeo added a new saloon model to its range, the 1750 Berlina. 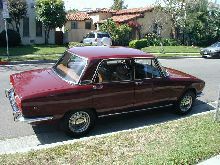 The Berlina was based on the existing Giulia range and used a similar bodyshell which featured four headlamps. 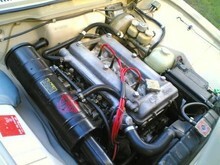 The Berlina used a 1779cc twin-carb engine which came with a hydraulic clutch mechanism. 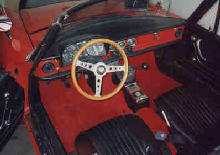 The Berlina braking system used a twin circuit design for safety as well as a servo and disc brakes. 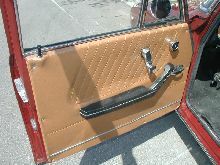 Sales of the 1750 Berlina were very slow in the UK as the companies reputation began to suffer due to the corrosion problems. 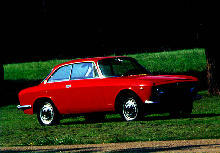 Despite low sales in the UK Alfa managed to produce over 100,000 of the Berlina before production ended in 1972.